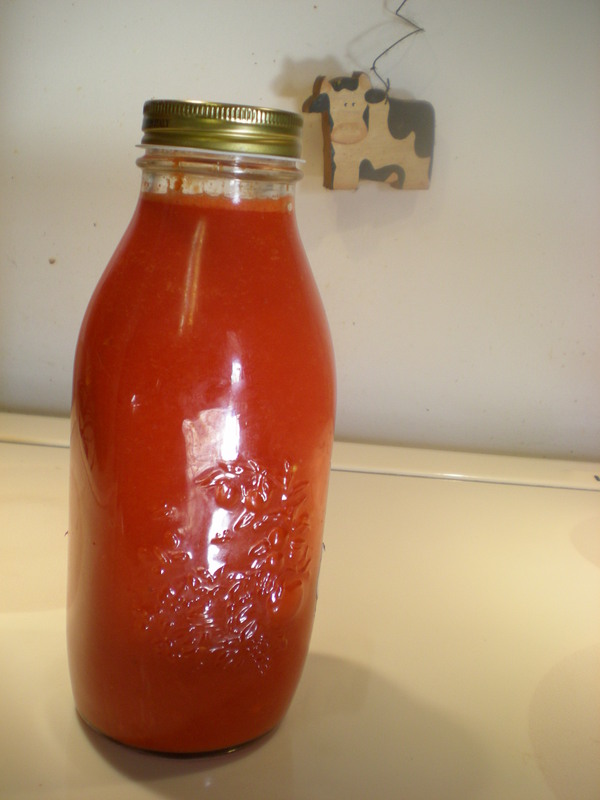 Today I tasted the Fermented Chile Rojo Garlic Hot Sauce that I started on September 22nd. It was delicious and Muy Caliente! I decided it was time to finish the batch and bottle it. First I pureed it in the crock with my stick blender until it was smooth. I have several types of hot green peppers and sweet green bell peppers ready to harvest today. I’ll get them fermenting so I can put up my Chile Verde Hot Sauce for this year. I plan to do them in a 1/2 gallon canning jar with a fermentation lock instead of a crock. I’ll give you a peek in a few days. This entry was posted in Coming Attractions, Food Preservation, Fun with Fermentation, Harvest, Locavore and tagged Cooking, Locavore, Recipe, sustainable food. Bookmark the permalink. Pepper sauces are one of my favorite ferments! Yum!